I’m so excited to announce that I’ll be styling a fashion presentation at the J.Crew store in Austin next month! J.Crew is one of my all-time favorite brands and they’ve got plenty of amazing styles for everyone this fall. Come to The Domain location in Austin from 4-6pm on Saturday, November 3rd, to see how I’ve styled the fall collection and check out my window display (my first one)! 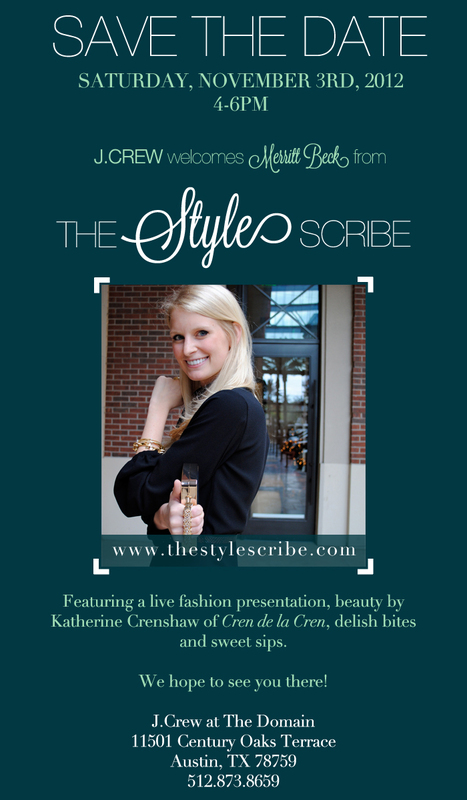 PS: my friend Katherine Crenshaw of CrendelaCren.com will be doing the makeup on the models, so don’t miss it!